Hopefully you, along with the rest of us, have resolved to live a healthy and happy life this year. Your gym might be a tad more crowded and the salad aisle in the grocery store is probably a mess, but at least it’s all with good intention. However, with the health craze sweeping over us it’s important to remember that the numbers on the scale aren’t the only reason to strive toward a healthier life. Behavioral and Lifestyle Changes Can Positively Affect Our Genes! Being well rested, avoiding stress, finding happiness throughout the day, and healthy diet and exercise all contribute to our well-being on a much deeper level. Surprisingly, recent and ongoing research suggests that positive behavioral and lifestyle changes can actually affect you on a genetic level. This might sound crazy considering we are all born with a fixed genome, but our genes can be altered depending on their activity level. 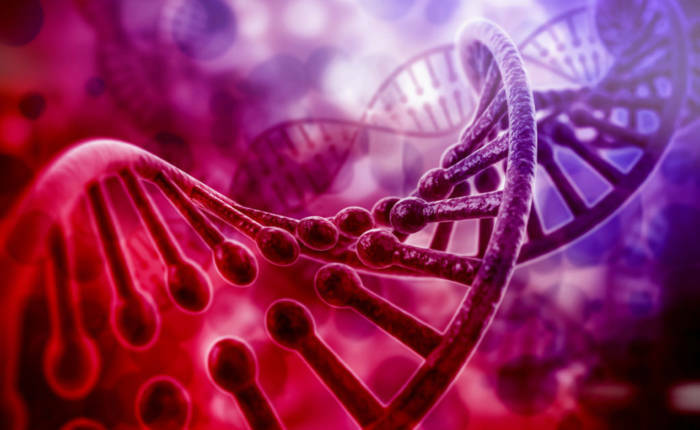 Epigenetics is the study of potential changes in gene expression that does not involve changes to the underlying DNA sequence — a change in phenotype without a change in genotype — which in turn affects how cells read the genes. Cutting edge research is focusing on the epigene, a complex sheath of proteins that surrounds the DNA where various genes are switched on and off. This genetic activity varies constantly, and responds to the input we give our body. For example, while identical twins may be born with an identical genome, by the time they reach their elder years their genes have reacted to their lifestyles, resulting in genetic readouts no more similar than that of two siblings who aren’t twins. So what can you do to improve your genes? Here are 6 tips to ensure your lifestyle is contributing positively to your genetic makeup. Look at every day as a feedback loop. Strive for greater positive input that negative input. Don’t limit ‘positive input’ to just eating kale. It can be anything from eating wholesome healthy foods, to fostering an optimistic outlook, to wearing an outfit that makes you feelgood. Being happy is just as important during the day as getting your workload done. Shake things up a bit. Keep variety in your day by allowing yourself alone time, recreational time, social time, etc. Listen to your body. Only eat when you’re hungry and avoid staying up after your body feels naturally tired (granted, this doesn’t mean take a nap whenever you feel sleepy because your boss most likely won’t appreciate it, but you get the jist). Limit your stress. Stress reduction is immediately appreciated at the cellular level. If you find yourself in a stressful situation, get out of it as quickly as possible. Walk away to a quiet place, and find your calm center. Meditate. Getting in touch with your inner self can surprisingly affect your genes almost immediately. These simple behavioral changes act quickly and deeply on your body’s inner-workings. While it’s not something that can be seen on the outside, your cells are thanking you on the inside. Your lifestyle is essentially communicating directly to your body’s genetic activity – so make the communication worth it! Make it a point this new year to not only fit into your ‘at-my-thinnest-skinny-blue-jeans’, but to focus on the genes that make you, well, YOU. Happy New Year! Give SOL a call or email us to schedule a Wellness Appointment today! Sports + Orthopedic Leaders Physical Therapy & Performance Training serves the communities of Oakland, Alameda, Berkeley, Walnut Creek, Orinda, San Francisco and beyond. SOLPT’s award winning team of Physical Therapists, Performance Coaches and movement experts has helped thousands reach their rehabilitation and performance goals to move beyond pain. We're committed to helping anyone of any fitness level move effectively and more powerfully for a lifetime. We offer rehabilitation and performance services to all populations, with specialties in Sports Rehabilitation, Active Release Techniques, and Manual Therapy Techniques plus Personal and Small Group Training, Sport Clinics and Wellness Services. COPYRIGHT © SPORTS + ORTHOPEDIC LEADERS PT INC. ALL RIGHTS RESERVED.